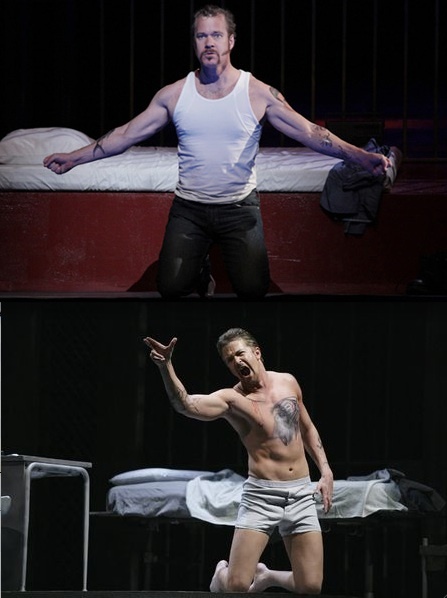 Michael Mayes created quite a stir when we posted pictures of him on Barihunks as Joseph de Rocher in the Tulsa Opera production of Jake Heggie's Dead Man Walking. We followed it up with a post about his dramatic weight loss and workout routine that got him his "prison gym" body, which also generated intense interest. Mayes received rave reviews for his intense performance and became the talk of the opera world overnight even though he was performing in a city that is hardly considered an opera capital of the world. Such is the power of the internet. Heggie's opera has quickly become a mainstay of the operatic standard repertory, something that rarely happens this soon after a work's debut. The opera premiered at the San Francisco Opera in 2000 with an all-star cast led by John Packard as Joseph de Rocher, Frederick von Stade an his mother, Susan Graham as Sister Helen Prejean and Jay Hunter Morris as Father Grenville. 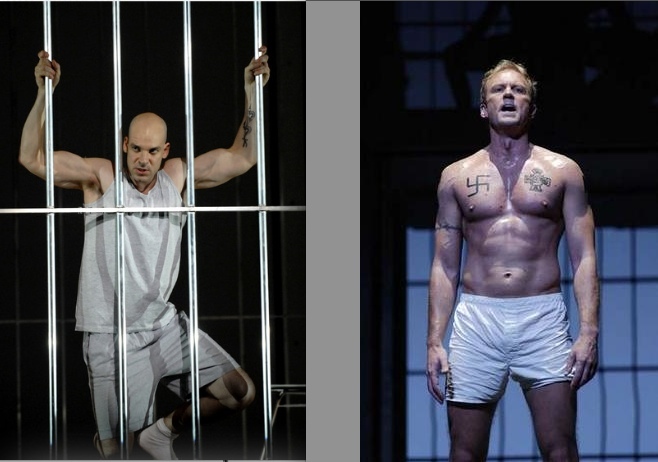 Some of the hottest barihunks in the world have taken on the role of Joseph de Rocher including Teddy Tahu Rhodes, Mel Ulrich, Daniel Okulitch, Jordan Shanahan, Marcus DeLoach and Philip Cutlip. 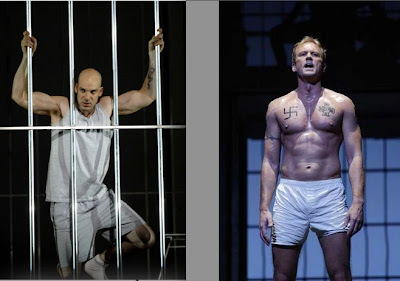 Dead Man Walking - Semperoper Dresden from Theater-TV on Vimeo. 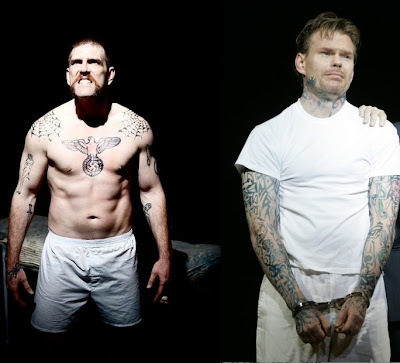 Just over 5,000 miles from Tulsa, as the curtain comes down on the final performance of Dead Man Walking, another production is running at the Semperoper in Dresden with John Packard returning as the convicted killer. Remaining performance are on March 4, 9, 18 and 23 with Antigone Papoulkas as Sister Helen Prejean. Tickets are still available and can be purchased online.